You are here: Home » What Do You Love To Do? About five years ago, I got really tired of talking about potty training and math curriculum. Obviously a group of homeschool moms will discuss children and school; it’s what we’ve all got in common. But after a decade of the same topics, I realized that these conversations rarely went beyond the surface. There was a lot of talking, but not a whole lot of actual connection. The rest of the conversation ranged far and wide as we discussed photography, writing, growing up, traveling… We had so much more to say that we met for coffee another time. It’s not just a great conversation opener. Every time I ask that question, I see the other person’s face light up. God has given us all interests that feed our souls, and we love talking about them. But parenting is so intense, and homeschooling is so consuming, that it’s very easy for us to put those interests aside. Sometimes we simply have to put them aside, especially during the babies-and-toddlers stage, where the one thing that feeds a parent’s soul is more sleep. Then you’ve got marriage, school plans, co-op activities, field trips, the household… A homeschooler’s life is jam-packed, and often our own passions are the first to get the cut. And it’s a fact that some interests are easier to fit into everyday life. It’s easier to start a blog than take a pottery class, for instance, and both of those are easier than hiking the Appalachian Trail. All that said, it’s worth the effort. 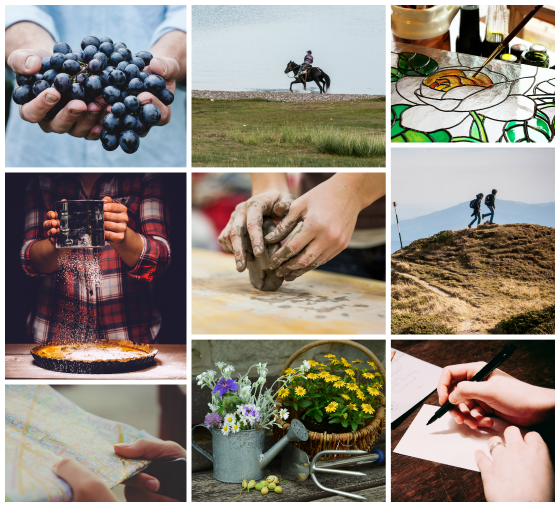 Now that summer is coming and the school load is lighter (non-existent in our household), it’s a good time to reconnect with our passions—even if it’s just in a small way. Keep up friendships, read books, go camping, volunteer at a nursing home, landscape your home, take photos, sell jewelry, attend political events, track down historical sites, take karate lessons, ride horses… Whatever it is that makes you feel alive, take the time to do it. 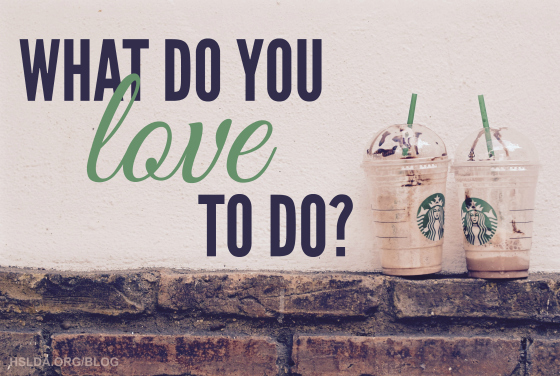 What do you love to do? Have a cup of coffee and tell me all about it. Photo Credit: First photo taken by Tim Gouw, graphic design by Charity Klicka; Photo collage created by Charity Klicka, photos via stocksnap.io.